Fleece has evolved since its popularity in the late eighties, and rightfully so. 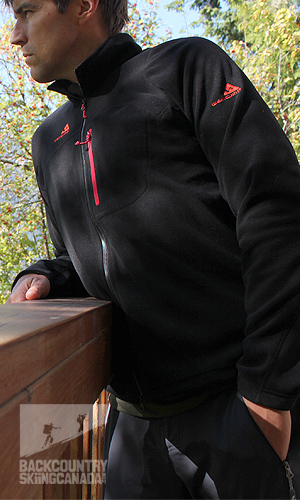 Today, Westcomb has taken the ho-hum fleece jacket and made it upscale with their new Mens Orb Sweater. 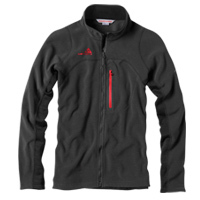 This is a lightweight full zip fleece jacket that utilizes zonal construction. Zonal what? Zonal Construction, the principle of using multiple fabrics in various locations to leverage their benefits for improved performance and fit. Polartec Thermal Pro makes up the majority of the Orb Sweater with the underarms using Polartec PowerStretch Pro fabric which allows for more stretch and range of motion for your arms. 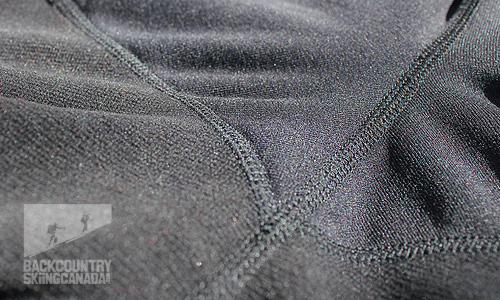 Flatlock seam construction is also used and a feature you'll notice most when you wear the Orb Sweater with a pack on as there are no bulky seems to compress under the shoulder straps. Whether you wear the Westcomb Mens Orb Sweater as a mid layer or an outer layer it keeps you warm (but not hot) and lets you breath while cutting a slight breeze. 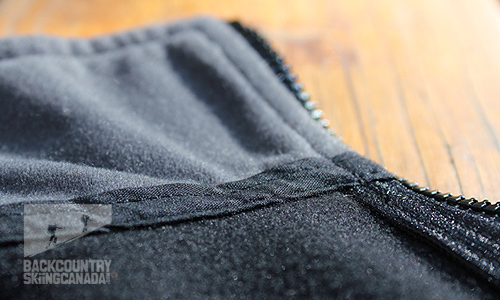 - Polartec PowerStretch Pro underarm panels. In typical Westcomb fashion the Mens Orb Sweater is a high end garment and the price reflects this. At $150 it ain't cheap but once you have a closer look at things you will see why. 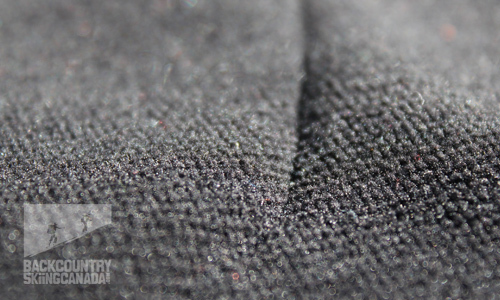 The design uses two Polartec fabrics, Velour around the collar, quality zips and is designed and manufactured in Canada. I am sure they could save a bundle by mass producing this piece in China and shipping it all the way back here to Canada, but there is some solace in knowing that it was not manufactured at a sweat shop in a foreign land. Go Canada Go! The Westcomb Mens Orb Sweater comes in an array of appealing colours and has a nice refined design with features such as a napoleon pocket and flatlock seems. 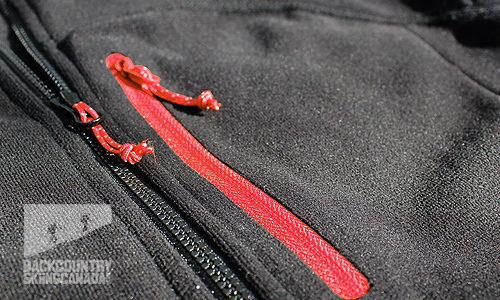 It keeps you warm, it's light weight like most other fleece garments but also keeps you looking good thanks to the innovative micro-brushed exterior fabric and strategic red highlights on the zips. The only way I could think to improve this one is to include a draw cord at the hem to keep out drafts and also take off one of the two Westcomb logos, either the front chest or left shoulder. This would minimize the billboard effect and keep in tune with Westcomb's upscale appeal. For additional reviews of Westcomb products have a look at our reviews of the mens Westcomb Cayoosh LT Down Sweater, Westcomb Revenant Jacket, Westcomb Boreal Fleece, Westcomb Tango Hoody and the Westcomb Apoc Jacket with Polartec Neoshell. 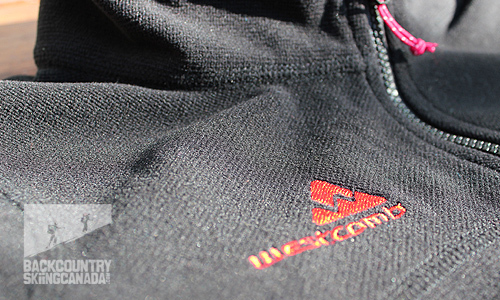 On the womens side check out the Westcomb Drift Hoody.